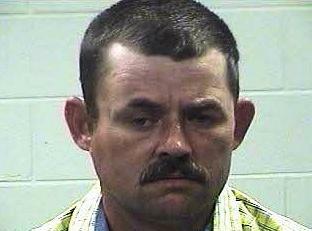 Timothy Leggett, 31, of Livingston, allegedly had his wife take the rap for a murder that he allegedly committed. Leggett Allegedly Had His Wife Cover for Him in the Murder, LIVINGSTON, May 21, 2013 - After continuing investigation into the death of 16 year old Rhett Cyrvin Lathan who died after being involved in a shooting on October 12, 2012, the Polk County Sheriff’s Office, Polk County District Attorney’s Office along with the Texas Rangers Office have made an additional arrest. On May 20, 2013, Timothy Eugene Leggett was charged with the above criminal offenses after a 7 month long investigation into the shooting. Timothy Leggett the spouse of Rachel Leggett who was originally indicted for Murder was questioned by authorities as a person of interest in the shooting. Authorities believe Rachel Leggett is suspected of covering for her husband in the shooting death. Authorities are still conducting their investigation at this time before the final investigation will be turned over to the District Attorney’s Office for their review.